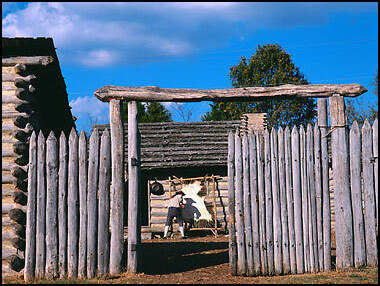 Mansker Station was established in 1780 by Kasper Mansker, long hunter and early Middle Tennessee settler. It was relocated two years later under pressure from Indian raids. The second Mansker Station survived to become an important settlement in the Southwest Territory. The current-day reconstruction is located in Moss-Wright Park, and offers an excellent living history program.